Inspiring stories of individuals who ditched their safe, old lives and took risky journeys of self-discovery that ultimately led to financial independence. Daring to change was only the first challenge. Gabriela Manser’s creativity was already evident as a child. When the time came to take over her father’s small mineral water business, she needed not a little courage. The results are now in and Manser’s reign has been a resounding success. Daniel Frei had an idea: to take the fringe vegetarian restaurant sector to a new level of style, convenience and global diversity. This idea has been successfully transformed into a robust business, with five locations feeding over 6000 guests per day. Well established in her career, Barbara Artmann still felt something was missing. She didn’t know what she was looking for but decided to quit her job. This video shows how she became an entrepreneur and why she would choose the same path again. Challenges came early in Andrea Pfeifer’s life: both her parents suffered from chronic diseases. She grounded AC Immune in 2003 with the aim of developing medications to combat Alzheimer’s. She is pursuing her dream with discipline and passion. Pius Notter began as a baker’s apprentice, later worked in the insurance business. But his heart lay in the clean beauty of the mountains, where he went to relax. Today, he is recognized around the world as a master of garden design. Wealth came early to Peter Koenig. At 30 he asked himself if money really was his goal. Today, he makes his living lecturing on the meaning of money. This video shows why participants are willing to pay a good salary for this kind of lecturing. Peter Dettwiler enjoyed a comfortable life, but when his son had an accident he had to change. He quit his job. Having eczema, he was always on the lookout for products to relieve the symptoms. Without realizing it, he was on the road to business success. Hinrichs enjoyed a comfortable life, but he wanted to discover new worlds. He discovered realms of unimaginable beauty and came to understand himself far better than his earlier life had allowed. Today he owns a leading travel agency arranging journeys to the South Seas. Gabriella Baumann founded her own publishing house, which has gone on to produce bestsellers all following the owner’s trusted formula: tell a good story about real people who meet life’s challenges with courage and dignity. Ernst Oppliger had inherited a deep appreciation of Swiss folk art from his father and he wanted to work in the venerable medium of paper-cutting. His work has been exhibited, and sold, around the world, enabling him to live the life he always wanted. Robin Cornelius had produced and sold a few cotton T-shirts and he thought maybe he could develop this line of business. Over 30 years later, the market has proven him right. Switcher’s success confirms that strong values matter in business. Andy Keel was a successful banker but something was missing. He quit and became a stay-at-home dad. He developed an employment agency for part-time workers. Rewarding work and ample time for family – Andy Keel has achieved the success on his own terms. Art Furrer taught skiing to tourists, showing tourists that skiing was fun, not just the rigid application of rules. But the Swiss ski instructors’ association took away his license. He emigrated to America and returned as a wealthy man. How to achieve entrepreneurial success? 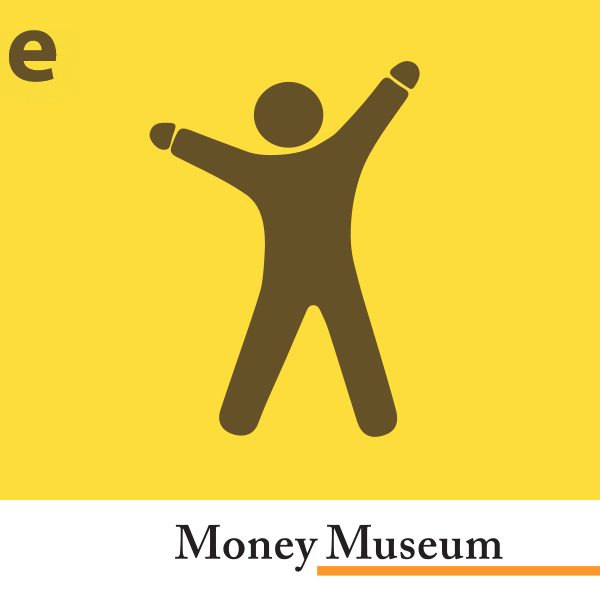 The MoneyMuseum has created a series of short videos that trace the often-bumpy path to success of 16 entrepreneurs.